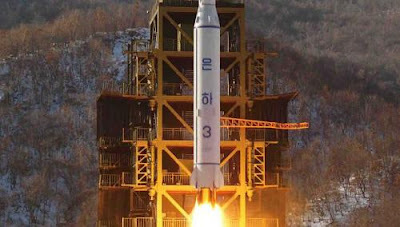 SEOUL (AP) - By successfully firing a rocket that put a satellite in space, North Korea let the far-flung buyers of its missiles know that it is still open for business. But Pyongyang will find that customers are hard to come by as old friends drift away and international sanctions lock down its sales. North Korea's satellite and nuclear programmes were masterminded by the late leader Kim Jong Il, who ruled for 17 years under a "military first" policy and died a year ago Monday. An offshoot of the policy was a thriving arms business, including the sale of short and medium-range missiles. The buyers were mostly governments of developing countries - Myanmar, Iran, Syria, Gulf and African nations - looking for bargains. But sustained Western diplomatic pressure and international sanctions imposed since North Korea first conducted a nuclear test in 2006 have cut into its traditional markets in the Middle East. North Korea is also losing business in Myanmar, which has committed to cutting military dealings with Pyongyang as a price for improved relations with the West.